The new Model 8631 Evolution LED headlight brings you all of the same great features found in our Model 8630 Evolution headlight, with the addition of a turn signal. 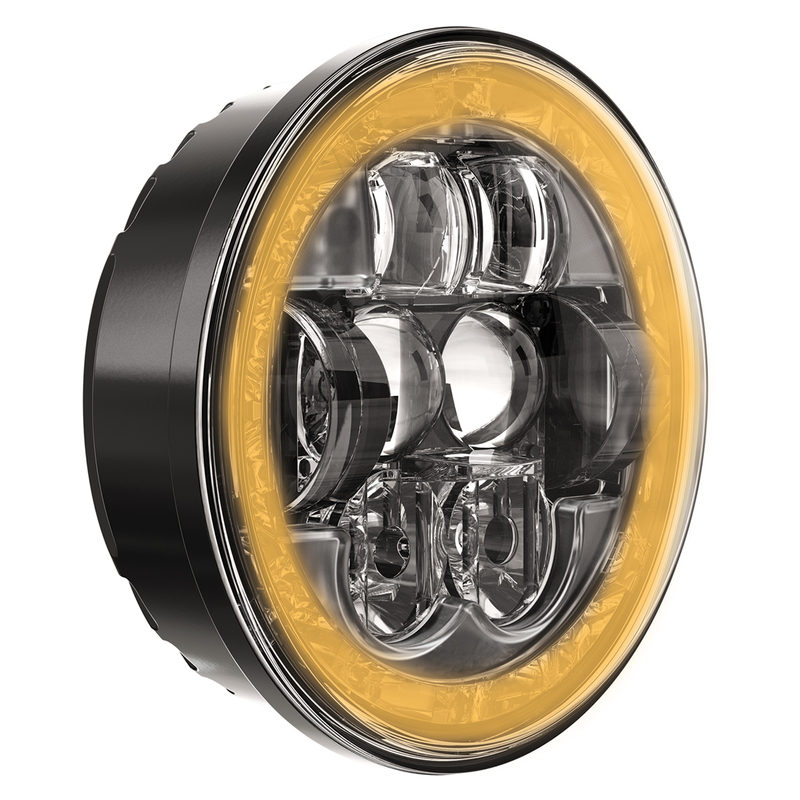 Produces identical light output to our Model 8630 Evolution LED headlight. Amber in color, the new turn signal is designed in the outer ring of the lamp to display a flashing circle when in use. This unique-looking headlight features high and low beam, as well as a daytime running light (DRL) & front position (FP) functions. 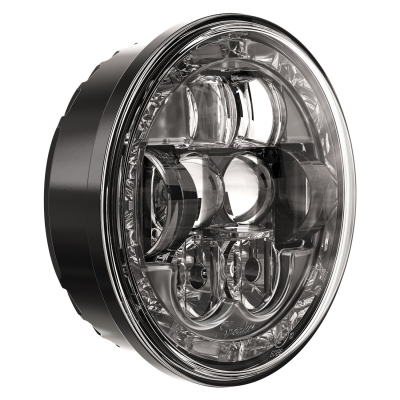 The Model 8631 Evolution LED headlight offers a powerful LED upgrade option for 5.75″ (PAR46) sealed beam headlights.